The tree is trimmed, the cookies are baked and hot cocoa is brewing by the gallon in preparation for the Lincoln City Tree Lighting Party and Christmas Market, which returns this Thanksgiving Weekend. Running from Friday, Nov. 23, to Sunday, Nov 25, at the Lincoln City Cultural Center, this annual event provides tons of free and weatherproof fun, including ornament workshops, charity booths, cookies and hot chocolate, carols and family photo opportunities. The community tree will be illuminated at about 5 pm on Friday, Nov. 23, followed by the arrival of Santa Claus, who will be hearing wishes and giving out candy canes until 7 pm. The cultural center will continue to host festive activities throughout the weekend. Thanks to a hardworking corps of volunteer elves, the center halls will be deliciously decked with garlands, ornaments and lights, a tree on stage and another on the west lawn. 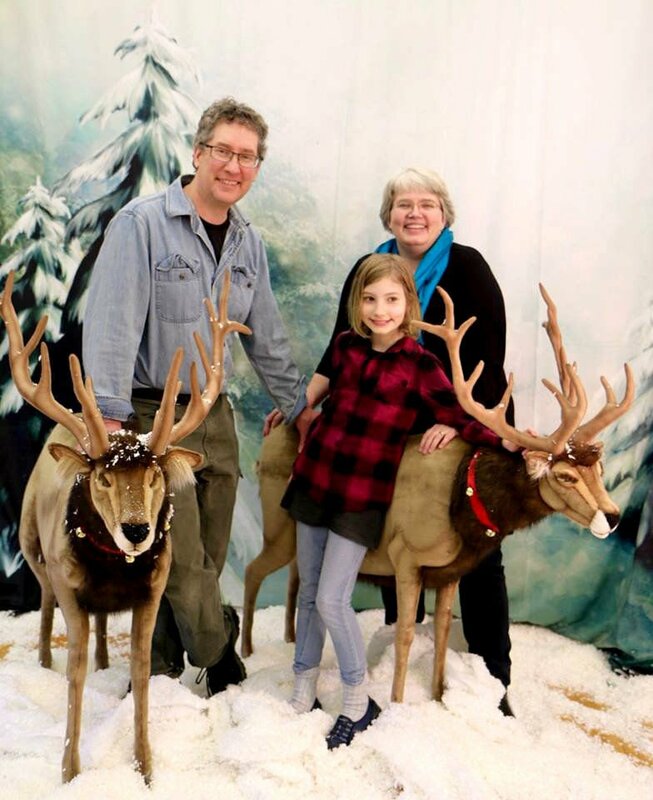 The Reindeer Room — with large plush reindeer and “snow” for the perfect winter family photos — will be open in the Dance Studio all day. Starting at noon, Black Friday shoppers can listen to the Bell Tree carols while they browse a range of charity booths, the Chessman Gallery and the gift shop. Krista Eddy’s famous make-and-take ornament workshop will be open to kids of all ages from 2 to 5 pm. Donations are happily accepted but participation is free, while supplies last. At 5 pm, volunteers and staff will begin to serve the cookies, hot chocolate and coffee, provided by Kenny’s IGA and the Morgan Family. If weather permits, the crowd will gather outside — if not, there will be room inside to enjoy. The Sweet Adelines will perform and lead a group carol sing, followed by the countdown and the flip of the switch to illuminate the community Christmas tree and the rest of the cultural center’s outdoor light display. At around 5:30 pm, a fire truck from North Lincoln Fire & Rescue will deliver Santa Claus to the south entrance of the center. Old Nick will make his way to the auditorium, where he will hear wishes, pose for photos, collect food donations and give away candy canes on the decorated stage. There will be games in the auditorium, too. Activities will continue on Saturday, Nov. 24, from 10 am to 4 pm, with a Christmas Market featuring vendors of handmade goodies and artisan gifts, including jewelry, woodworking, food and textiles. The Chessman Gallery and the gift shop will also be open, offering a selection of artwork and one-of-a-kind gifts made right here on the Oregon Coast. Santa Claus and his reindeer will arrive at 2 pm, hearing wishes and taking donations for the Lincoln City Food Pantry. On Sunday, Nov. 25, a new set of vendors will take over the Christmas Market space. The Lincoln City Farmers & Crafters Market will be open for business from 10 am to 3 pm, selling late-season produce and a variety of seasonal goods. The Lincoln City Cultural Center is located a 540 NE Hwy. 101. For more information, call 541-994-9994.